Original Riderz Fender Flare Kit 94-01 Dodge Ram 1500 [Stampede 8605 Ram Fender Flares] - $280.95 : 3rd Strike Performance, Your Source for Late Model MOPAR Performance Parts and Accessories! For solid OE styling that has unparalleled material quality, the Stampede Original Riderz Black Fender Flare set can't be beat. Specifically designed for your Dodge truck, Original Riderz are crafted from an extremely durable Tri-Blend material. Able to stand up to rocks, harmful road debris, and mud, these fender flares will protect your Dodge while adding a bolder body line. For Stampede Original Riderz. A fantastic addition to any Ram, Original Riderz are unmatched in style and lasting quality. 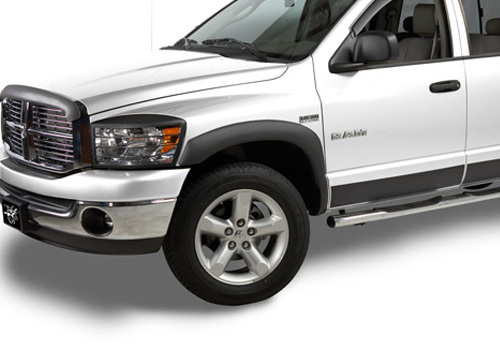 If you want your Ram to turn heads while protecting it from rocks and debris, Stampede has you covered. Note: Representative photo of product is shown for illustration purposes.